The 19" x 21" RollCabs Side Locker CDX192100SL features 19 gauge steel top and bottom panels, as well as back and sides. The support bracket is constructed with 12 gauge steel, and the shelves are 21 gauge steel. Includes 4 fully adjustable shelves. 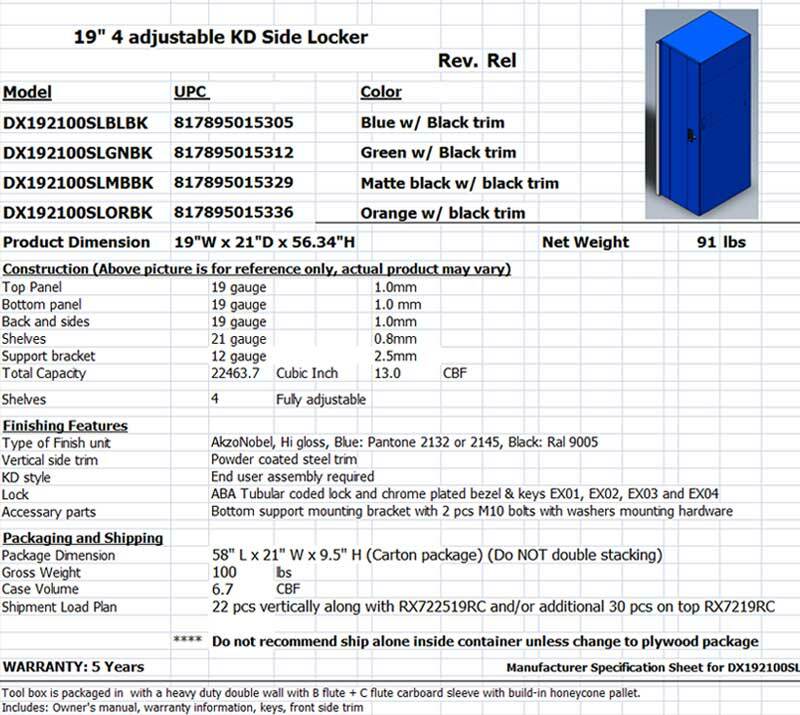 Total capacity of this Side locker is 22463.7 cubic inches. The RX Series, made by Extreme Tools, has been modified by us, with improvements and upgrades, and is called the CRX Series on this website. The following list of improvements are reflected in the RCRX Series. On this CRX tool box, the load capacity is 150 lbs. for each set of ball bearing glides, double glide drawers 300 lbs.